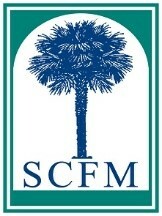 Since it was established in 1970, The South Carolina Federation of Museum has been dedicated to its mission is to serve, represent, advocate and promote the best interests of South Carolina museums thereby strengthening professional standards and procedures, facilitating communication, fostering inclusiveness and increasing professionalism and sustainability of institutional resources. We invite you to consider supporting SCFM’s annual conference, Small Museums, Large Impact on March 21-23, 2018 in Oconee County, South Carolina. Your support of our conference allows us to grow the organization and promote strong relationships between SC museums and other cultural institutions within SCFM. We have several opportunities for you to consider listed below that help make our conference a success. If you cannot pledge the full amount to a sponsorship, we would gladly accept a partial sponsorship for the opportunity in which you are interested. Your sponsorship will include: business name & logo on SCFM website, business name on promotional materials, and recognition at conference events. We hope you will join us in promoting our mission at the 2018 SCFM Conference. THANK YOU! Please Jennifer Moss at moss@oconeeheritagecenter.org, if you are interested in being a sponsor.